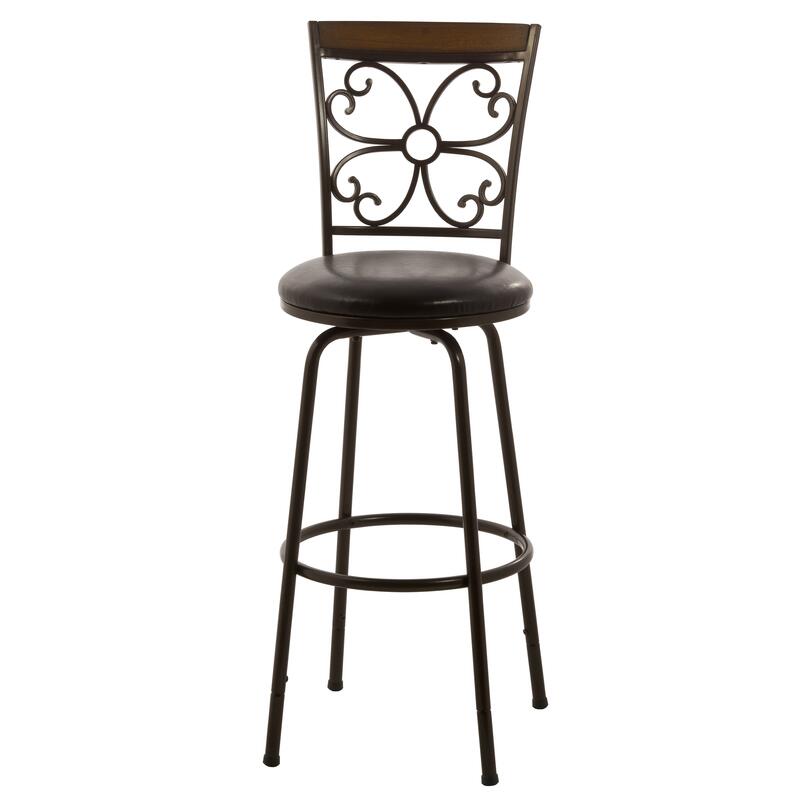 Stylishly designed to be the ideal addition to your bar or counter area, this swivel stool is exactly what you have been looking for. Handsome scroll work on the tall back gives this piece a traditional feel that you will love. Designed for your comfort and style in mind, this piece is the perfect addition to your home. The Metal Stools Garrison Swivel Counter/ Bar Stool with Scroll Work by Hillsdale at Furniture Fair - North Carolina in the Jacksonville, Greenville, Goldsboro, New Bern, Rocky Mount, Wilmington NC area. Product availability may vary. Contact us for the most current availability on this product. The Metal Stools collection is a great option if you are looking for Contemporary furniture in the Jacksonville, Greenville, Goldsboro, New Bern, Rocky Mount, Wilmington NC area.